Do you love the look of some of the pre-printed panels or some of the new digitally printed pieces but don’t know what to do with them? Do you have orphan blocks sitting in a bin in your sewing room or have a large print fabric you want to highlight? 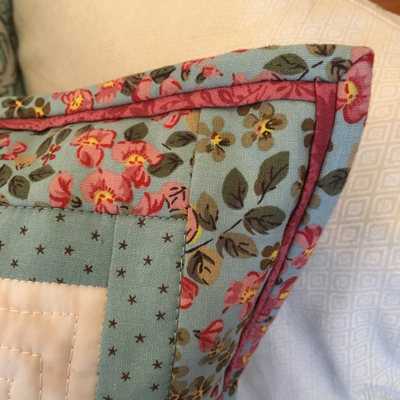 Learn how to finish those wonderful pieces into beautiful pillows! You will learn how to make an overlapping back so the pillow cover can be removed for washing. You will also learn how to finish the edges with an accent strip and binding that mimics cording. You will ALSO go home with directions to finish pillows with a ruffle instead of binding. 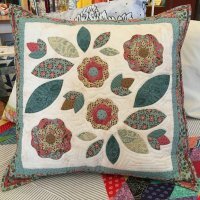 Let Susan show you how easy to is to make beautiful pillows for your home decor or to give as gifts!